Product #849 | SKU 3-033-SA | 0.0 (no ratings yet) Thanks for your rating! An adapter clamp designed for use with rod/rail camera support. 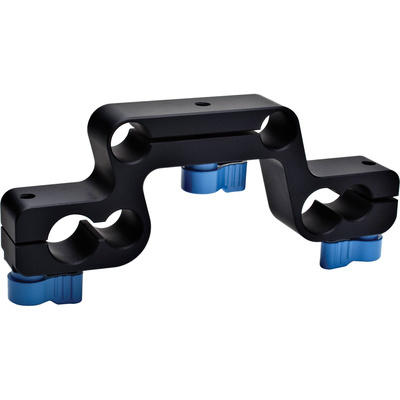 The Redrock Micro microOmniMount is an adapter clamp designed for use with rod/rail camera support systems of varying size and spacing. It allows you to integrate rods and accessories from any of three different systems: 15mm lightweight, 15mm studio offset, and 19mm. You can adapt 15mm studio accessories to 19mm rods, for example, or turn the clamp upside down and fit Redrock's 15mm microShoulderMount to a 19mm rod system. This latest version is now also compatible with Arri baseplates.